Each course enables participants to learn a wide range of skills. These include why PAT testing is carried out and the legal obligations of those carrying out the testing. What is taught on the course? Everyone attending the course will also be taught the ‘principles of electricity,’ which include understanding readings and measurements, as well as how voltage, current and resistance are related. Safety is paramount when dealing with electricity, so attendees are taught important elements relating to the subject, such as the need for an earth wire and insulation and how they are tested. Another key aspect of the course covers how to differentiate between Class 1, 2 and 3 appliances and the correct type of testing required. The IET Code of Practice is included in the course. Learners are taught how to use it to find the information needed for the test. The course also teaches how test results should be recorded, the minimum requirements and the software that can be used. The best types of PAT tester are explained, as well as how to use them. 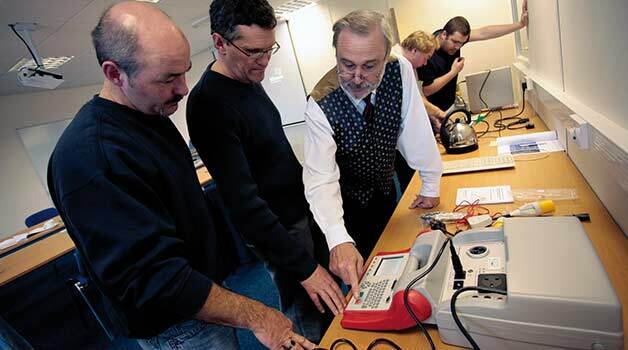 Successful candidates are awarded a Certificate of Competence in PAT testing. The course lasts one day, from 09:00 and 16:00. PAT training courses in Bristol are suitable for a wide range of people. They include those with previous experience or individuals who wish to learn new skills. The courses are particularly popular with people who want to carry out their own PAT testing in the workplace, thereby saving money by not having to hire others to do it. Some have no electrical skills, while others attend in order to develop their level of expertise further. Bristol PAT training is also suitable for those who are looking to make a career in the industry. There are no pre-requisites to PAT testing but an interest in electrical applications would be beneficial. We recommend that candidates read and bring along with them the IEE Code of Practice. Over 15,000 people have undergone PAT training throughout the UK and the pass rate is currently running at an incredible 97%, either by DVD presented courses or in the classroom environment.